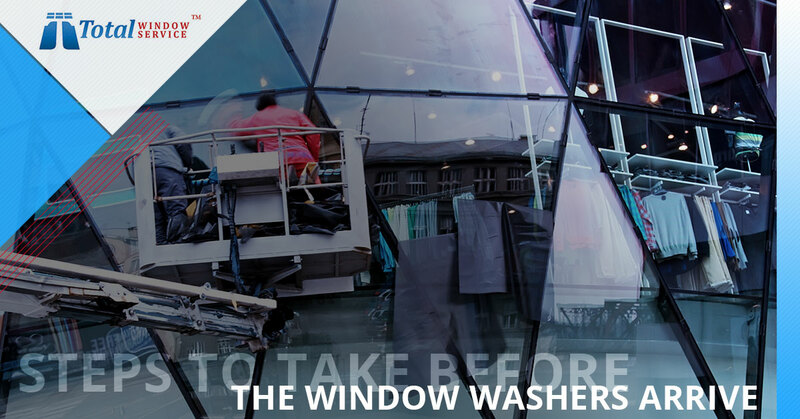 Now that you’ve hired the right window washers, you need to prepare for their visit! Step #1. Clear a path to your windows. If your window cleaners will be cleaning the interior of your windows, in order to get the job done, they’ll need to be able to access them! Make sure that there is a clear path to each and every window they will be cleaning. This means that, if there are any tables, bookshelves or any other pieces of furniture, you’ll need to move them before your window cleaners arrive. Step #2. Make other arrangements for pets. If you’ve got a furry friend (or several furry friends), you’ll want to make alternate arrangements for when the window cleaning company comes. Although our staff is always professional, polite and courteous, having a stranger in the house can put some animals on edge. But, even if your pets are overly friendly instead of aggressive, it can complicate the window cleaning process. Arrange for your pets to stay with a friend, at a kennel or even in another, more secluded area of your home while our technicians are working their magic. Step #3. Remove all items from the window sills. Do you keep pictures, plants or any other decorative pieces on your window sill? If so, your window cleaners will thank you if you move them away so that they can their job done. Not only will moving these items help to give your windows cleaners unfettered access to your windows, but it also helps to keep them safe during the window cleaning process. Step #4. Protect your fragile items. If there are any pricey or fragile items near any of your windows, you’ll be able to better protect them if you move them away during the cleaning process. Whether it’s a flat screen TV, computer, speakers, stereo or even artwork, you’ll want to keep it safely away. At Total Window Service, we’re always as careful as possible, but if an accident does come up, this step will help to protect your most fragile items. Before your window cleaners arrive, you’ll want to make sure that they have complete access to your windows. Whether you have drapes, curtains or blinds, making sure that these are out of the way is important. This is the perfect excuse to throw your curtains or drapes in the washing machine (if they are machine washable! ), and to dust your blinds. If you’re already taking them down so that your windows can be thoroughly cleaned, why not also clean them? Step #6. Find out about other services you might benefit from. 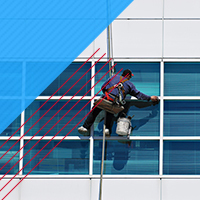 Most window cleaning companies offer more services than just window cleaning. For example, at Total Window Service, we offer a wide variety of services that go beyond window cleaning. Want to save more energy in your home? With mirrored window film and professional window caulking, we can help you cut down on your energy bills! Want to improve the security in your home? We offer safety window film that can help you stay protected against anything that might shatter your windows, including rogue branches, stray baseballs and even intruders. We also offer window caulking, chandelier cleaning, window restoration, skylight cleaning and much more! There’s no better way to get your windows sparkling clean than with professional window cleaning, and we hope that this blog will make it easier for you to prepare for your window cleaning adventure. If you have questions or concerns, or you’re ready to get your free quote or schedule your appointment with our window cleaning team in New York City, give us a call today! GOT DIRTY WINDOWS? LOOKING FOR WINDOW TINTING COMPANY? OR YOUR WINDOWS GOT SCRATCHED? Send us a quick massage and request a free online or on sight estimation. HOW DO YOU REQUEST AN ESTIMATE ONLINE? Dear consumers, if you are looking to get an accurate and fast estimate online, please send us pictures of your windows at our email info@totalserviceny.com, and please include your building’s exact address, so we could google it to see what type of windows you have. It will help us provide you with a more accurate quote. Thank you. ©2018 Total Window Service. Do Not Copy.